Made his debut with KK Zagreb during the 2002-03 season. Moved to Spain for the 2012-13 season, signed by CB Malaga..moved to Russia for the 2013-14 season, signed by Lokomotiv Kuban. Moved to Turkey for the 2017-18 season, signed by Anadolu Efes Istanbul. Named 2013-14 EuroLeague Top 16 Round 4 MVP. 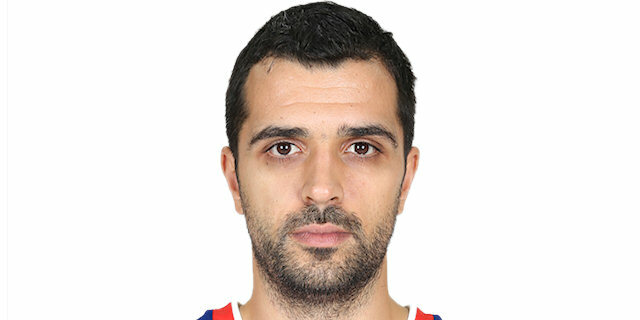 Named 2018-19 EuroLeague Round 22 MVP. Named 2014-15 EuroCup Quarterfinals Game-1 MVP. Won the 2008, 2010 and 2011 Croatian National Cup with KK Zagreb. Named the 2016 Italian Super Cup MVP. Played the 2006, 2008 and 2010 Croatian All Star Game. Has been member of the Croatian U-16 and U-20 National Team. Played at the 2005 European U20 Championship.